The needs of daily life in the Santorini, led to the growth of professions and occupations that progressively disappear and that, inter alia, constitutes the subject of research of Folklore. This professions are presented in the present study, which constitutes minimal contribution in the aims of Educative Association Emporiou. The material of study was assembled as a rule on the spot, with interviews of residents of island. At the same time, they were used cell emanating from in manuscript the Center research of Greek Folklore of Academy Athens, the study of which became at the duration of there work writing and in the frame of program that was financed by the Committee of Researches of Academy Athens. Finally, the material of present study would not have been assembled without the precious help of Mrs. Georgiou Kafourou (Kofina) from Megaloxori, Evangelos and Maria Arvaniti from Akrotiri, Eleutheriou Melixourti from Kontoxori, Markou Drosou and Micheal and Flora Karamolegkou from the Emporio, in which we give a lot of respect. 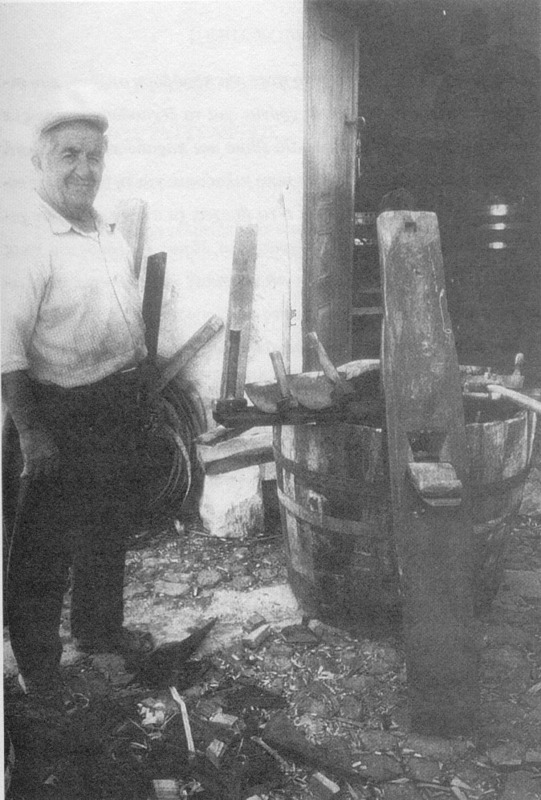 Nikolaos J. Sigalas Emporio Thiras, April 2001.